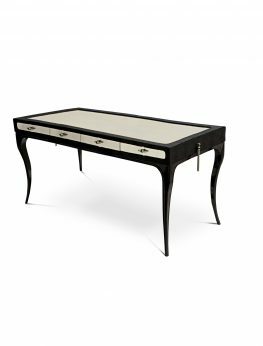 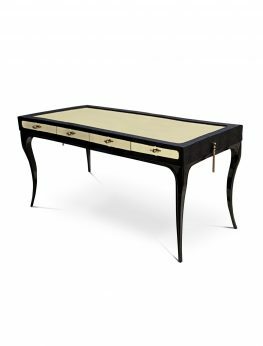 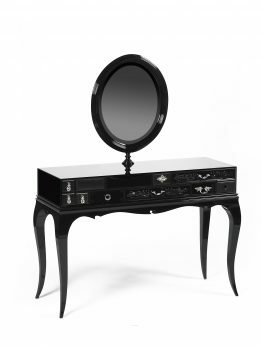 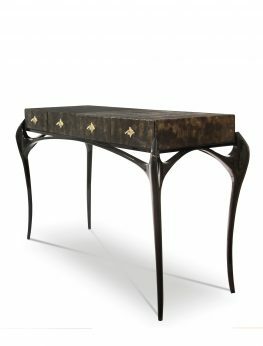 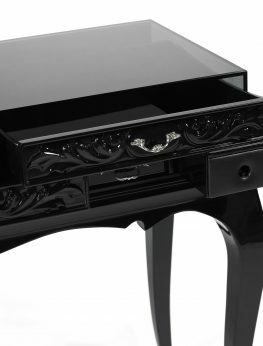 This vintage-inspired, elegant console captures the essence of haute style. 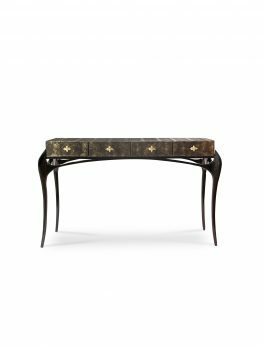 Sensuous curves and subtle gold gilt makes the Orchidea side table an irresistible choice. 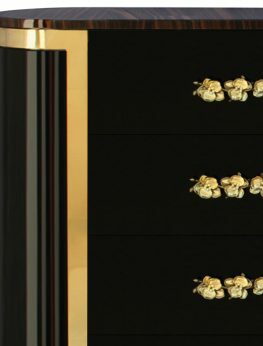 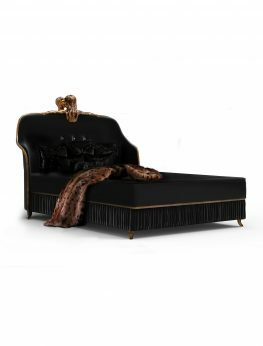 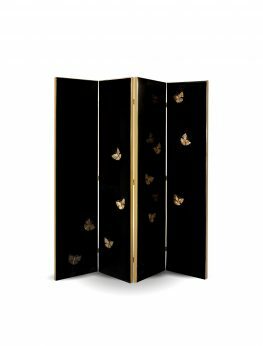 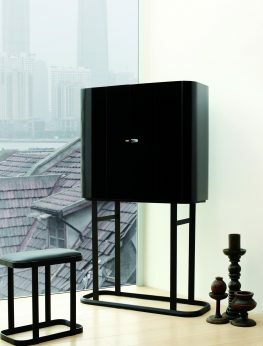 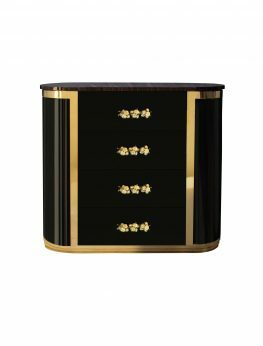 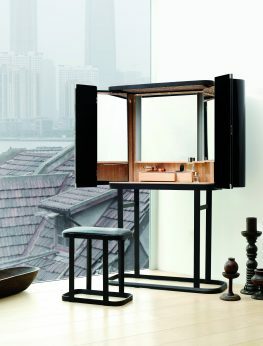 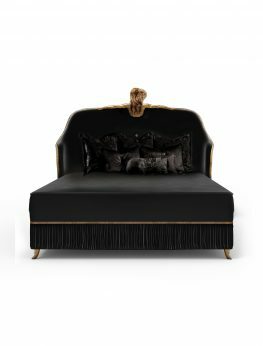 This gorgeous piece features an oval top in ebony veneer, structure in high gloss black lacquer with two drawers lined in black velvet and adorned with cast bronze orchid handles, supported by a polished brass base.